In Pittsburgh, Allegheny County and the Region there are unique collections of neighborhoods that have many active priorities supported by the residents, including: social, economic and environmental concerns. Many residents select neighborhoods that have strategic action and sustainability plans, and smart growth as their selection criteria. Neighborhoods that focus on retaining green spaces, favor walkability, intelligent transportation systems focusing on pedestrian access, and a return to development of community gathering areas, have been growing as criteria for active lifestyle residents. Walking throughout your neighborhood provides transportation that allows you to experience varying terrain, man-made and natural surfaces, and many weather conditions. Neighborhoods of Pittsburgh showcase their year-round outdoor activities. Take a look at the listing for Events and initiatives in your community. 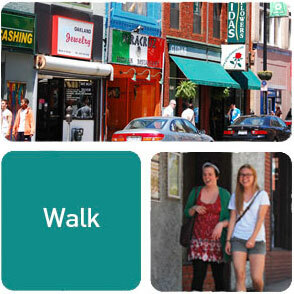 Volunteer your support to local advocacy groups promoting walkable development and activities. You’ll agree… Pittsburgh, Allegheny County and the Region are great places to live, work and play!